My very first work on the symbolic and psychological meaning of Dante’s masterpiece was “The Process of Individuation and the Divine Comedy” (1977). This work grew out of a project of spiritual searching I had undertaken together with Marie Tofanari of the Centro Coscienza in Milan. 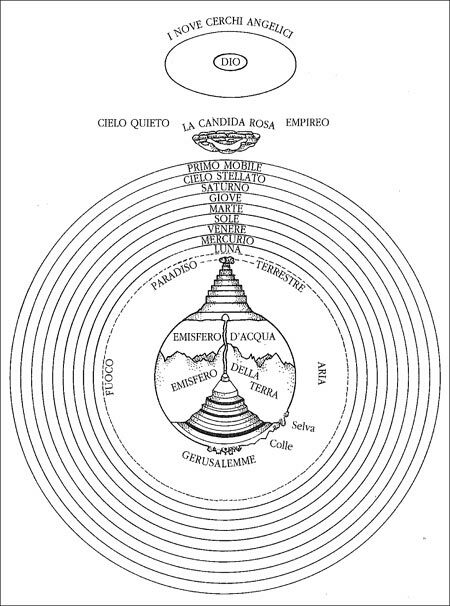 Through my subsequent studies of Jung’s writings on Goethe’s Faust, on Alchemy and on the relationship between poetry and psychology, I realized that Dante’s Divine Comedy also contained hidden layers of meaning which opened onto new fields of research into the symbolism of initiatory practices, Alchemy, Hermetic philosophy and Astrology. In 1991, when I already had many years of analytical work under my belt, my book, “In Search of Beatrice: Dante’s Journey and Modern Man” was published. This book is not meant to be a comment on Dante’s work, nor does it seek to analyze it from an historical, critical or literary point of view. What it seeks to do is to get close to the inner experience of the poet himself so as to grasp, beyond the “veil” of words, the more intimate and spiritual meaning of the text. The poet leads us, takes uss by the hand, even pushes and shoves us along so that we can rummage through the deep “hidden things”, in other words, the parts of ourselves we are unacquainted with: our conflicts and our very own antisocial traits. The beauty and captivating nature of the poetry uplifts our hearts and minds so that we can contemplate our most hidden feelings: not only our pain, anger, fear, violence, hatred, inertia, and passivity but also pleasure, joy, blessedness and peace. 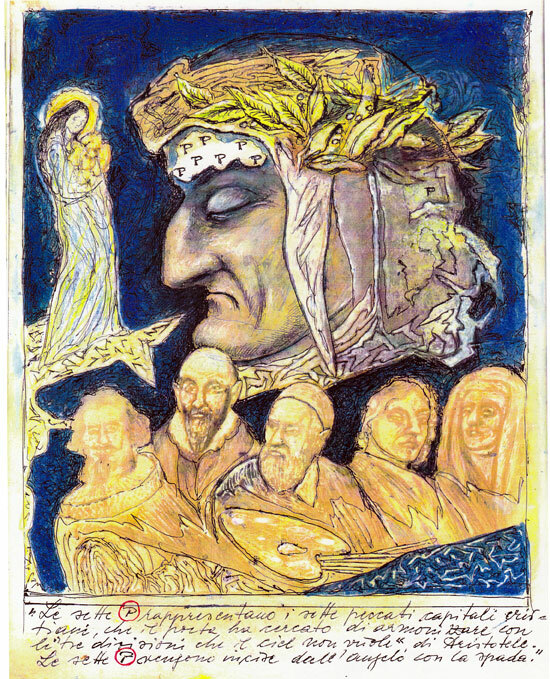 Only since the last century has modern psychology seriously begun to deal with this field of knowledge, but the “laws” which govern the psyche –which we as humans can never penetrate completely – were already present, at the beginning of the 1300’s in Dante’s work; his creative genius captured and communicated them using powerful images. This was his destiny, his agony and his ecstasy. Jung couldn’t help noticing that people who followed the path of the inner search presented, as images emerging from unconscious processes and manifesting through dreams, fantasies and the practice of active imagination, continuous movement round a center which is beyond the empirically recognized ego. This center is both the limit of the human personality and the place where the synthesis of opposites, a real coniunctio oppositorum takes place. 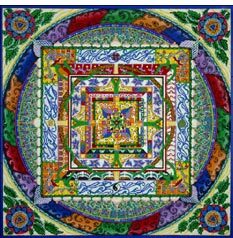 His studies of Eastern texts brought Jung to the awareness of an analogy between Eastern images of the mandala and the images which his patients spontaneously produced. This led him to formulate the hypothesis of an image in the psyche of a center which is superordinate with regards to the ego but which at the same time includes it. To this central image of the organizing factor of the personality on the physical, psychic and spiritual planes, Jung gave the name the Self, borrowing the terminology from the Orient. When this image of the Self manifests, it brings with it truly miraculous therapeutic qualities, creating a sense of peace, harmony and healing. Rappresentazione grafica del cosmo dantesco nel suo svolgersi temporale. 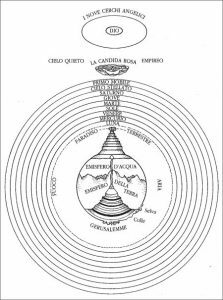 By observing the structure of the Divine Comedy we get the feeling that Dante’s initiatory journey has the form of a mandala; by following this path the poet gradually becomes aware of the various sides and aspects of the Self. In the Inferno what Jung calls the Persona, the Shadow and various dimensions of the Animus and of the Anima are met. In Purgatory the unifying synthesis of the opposites is experiences while in Paradise we encounter those spiritual factors which bring about the final definitive union with the Beginning, i.e. with God. This corresponds precisely to what takes place in the Eastern practice of Yoga. A. Mazzarella ha individuato precise corrispondenze tra i chakra del Kundalini Yoga e i passaggi iniziatici del viaggio di Dante. If we take the journey Dante took and allow ourselves to be led by him, we soon realize that the process of Individuation as described by Jung is not only present but passes through and completes each and every one of the fundamental transitions, leading up to the realization of the conscious union of the ego with the Self. 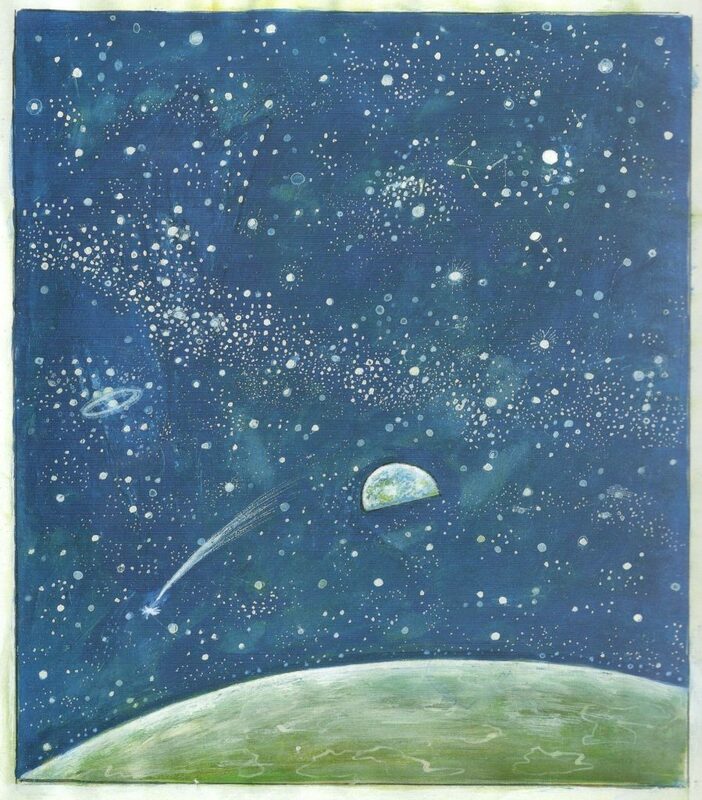 What we experience in Dante’s journey can also be found in the great Vedic tradition (for example in the Bhagavada Gita), in Taoism, in Kundalini Yoga, Sufism, and Hermetic alchemy though each describes the experience in its own way. The Divine Comedy cannot really be understood through the sole use of our rational intelligence; it needs to be “spiritually” rediscovered in every age just as Dante himself revisited and reinterpreted for his own times the values of the ancient world. The historical period in which Dante lived was marked by deep and chaotic upheavals. Many old institutions such as the Church itself and the Empire were crumbling while new forms of government such as the republics and city-states were taking form and coming into their own. The specific political ideas Dante wrote to defend have been superseded but the foundation on which his principles rested is still valid today for us: discipline and justice in government, the overcoming of egocentric individualism and class consciousness so as to allow for the flowering of creative human qualities, political unity regardless of race and religion. We too live in a time of upheaval. We face profound political and technological changes which will require a new and wider synthesis of peoples and human qualities. In his introduction to the Bhagavad Gita, Aurobindo writes that we have done away with God and have, in his place, erected man, while society has become a visible idol. 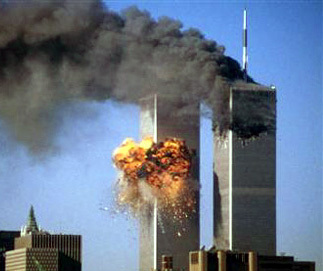 Solidarity and human altruism risk becoming more and more fragile and false. If the world of political action is lacking in contact with the sacred (i.e. with that spiritual reality that Jung calls the Self), society itself becomes one-sided and is thrown back and forth between the opposites. Dante, who had a deep knowledge of mankind and of the psychological elements that are at the base of its behavior, is a teacher and guide for us even today. The so-called “secret things” which he passed on to us in his poetry have emerged in recent years even more clearly through the findings of the psychology of the unconscious. Naturally, Dante uses languages and images that belonged to his times, but he nevertheless puts us in touch with the realities of the psyche and these are of such a timeless and archetypal nature as to be timely and relevant here in our own times. I found these reflections about Dante’s thoughts very interesting: with his descriptions of people of his era he made us realize everyone’s unconscious defenses and psychic alterations. Great the association with Iung’ s insights! Keeping writers’s and painters’ environment’s depicting of the old times we as therapists could better understand everyday’s difficulties of people of today.